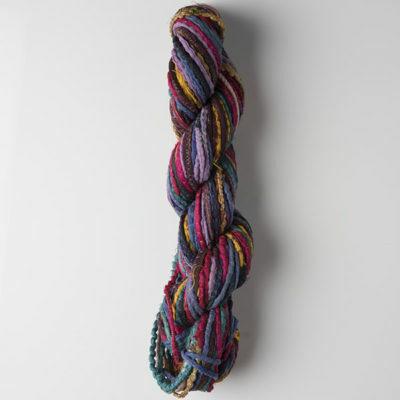 Sari Silk Cord, is produced by rolling sari ribbon to form a round cord like shape. It is then secured it with an over-locker machine. The cord has a myriad of applications in creative embroidery and craft as it may be couched down on the surface of a quilt or embroidery. 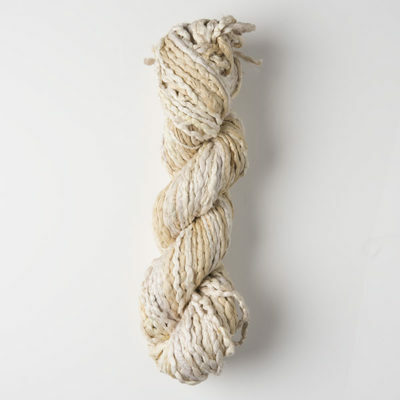 It is also possible to knit, weave, and crochet with the cord, and it can be used to create 3D objects of all types- only limited by your imagination. Weight : Typically 100 g, but may vary a little.